The JustBoom Amp HAT kit is a fully plug-and-play package that is simple to setup and use. No soldering or technical knowledge is needed to get up and running. Plug in the power cable, connect the kit to a set of passive speakers and set up your Max2Play license. You can then be up and running quickly, enjoying flawless high quality audio playback within minutes of unboxing. All of the Raspberry Pi GPIO pins are still accessible on the Amp HAT for easy customisation of your project – add additional sensors, buttons, LEDs, rotary encoders or anything your heart desires. •Back-powers the Raspberry Pi over the GPIO (with full HAT compliant protection) at 2.5A so only one power supply required for the whole system. •This kit comes with a Raspberry Pi 3 Model B, however, the Amp HAT is still compatible with the Raspberry Pi A+, B+ and 2B. •Fully compatible with the recommended JustBoom Player software. •Getting started guide for the software. We also have Amp，DAC and Digi Raspberry Pi HATs available to purchase. 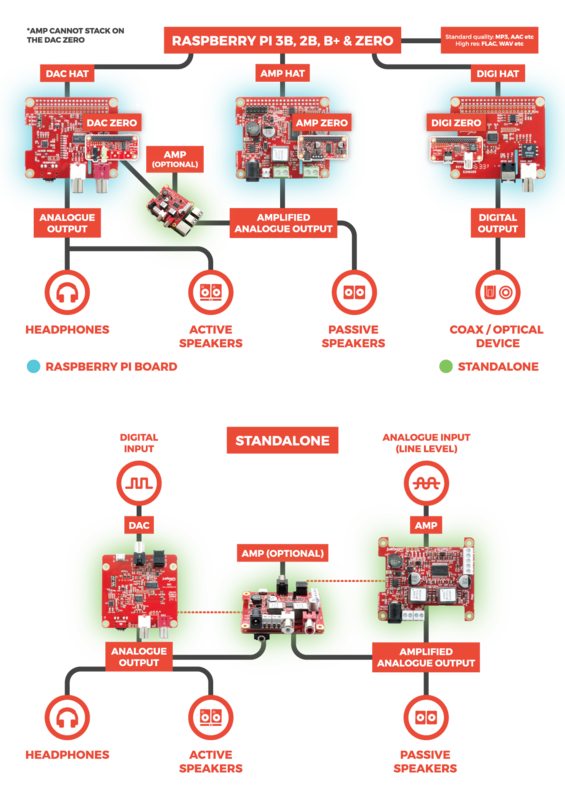 The JustBoom Amp HAT kit is a fully plug-and-play package that is simple to setup and use. No soldering or technical knowledge is needed to get up and running.